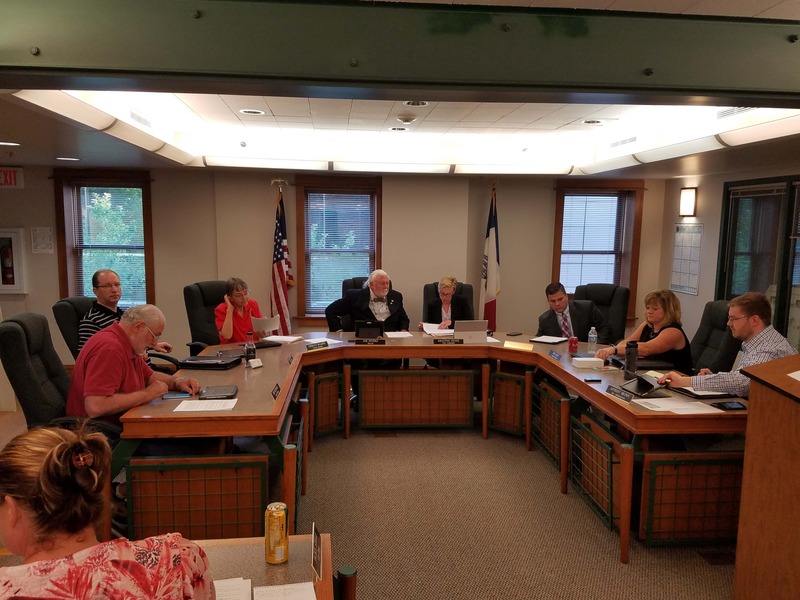 The Adel City Council convened Tuesday evening in regular session. The bulk of the meeting was devoted to interviewing candidates for the vacant seat on the Council. Three individuals were asked a series of questions, after each had submitted applications and filled out a questionnaire prior to the meeting. After hearing from each, it was decided that Dan Miller would be the newest Council member. He was sworn in by Mayor Jim Peters and participated in the remainder of the meeting. Another big topic for the night was the Southbridge Planned Urban Development (PUD). First, there was a public hearing regarding the PUD and developer’s agreement, though no one from the public voiced any concerns. Next, the Council agreed to move forward with possibly establishing a Tax Increment Financing (TIF) Urban Renewal District for Southbridge. There will be a public hearing on August 14th to further discuss the topic. Finally, the Council approved the first reading of an ordinance to rezone the area from agricultural to PUD. The second reading will also take place on August 14th. Other items approved included: setting three different public hearings for the August meeting, including one on a rezoning request for Brickyard Summitt; a resolution revising the City’s policy on examination and copying of public records; and a change order and two pay requests for the storm water utility improvement project.